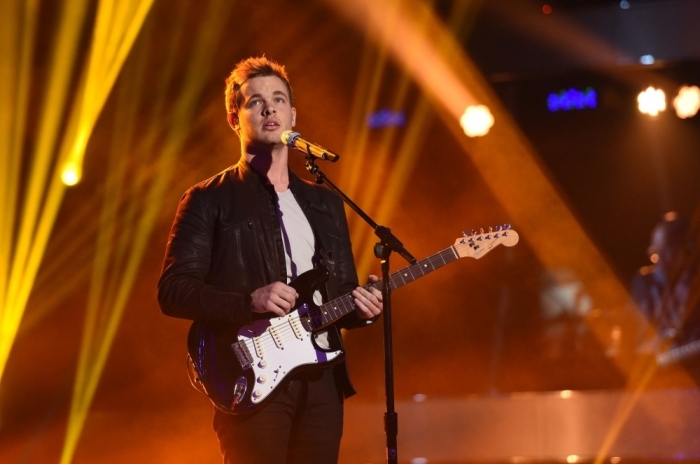 Each week Clark Beckham subjects himself to judgement and criticism in the music competition that made names such as Kelly Clarkson, Carrie Underwood, Fantasia Barrino and Jennifer Hudson famous. Still, that's a small price to pay for the up-and-coming Christian "American Idol" XIV hopeful who has plans of cementing himself as a secular music artist while being a light for God. Beckham, 22, is deeply rooted in his faith as a graduate of the Christian college Lee University and underwent a life changing experience being touched by the Holy Ghost. Now that he has made it into the top five of the coveted American Idol competition, the singer-songwriter and musician has showcased his range as somebody who can fit into multiple genres. For some time, he battled with the idea that a devout Christian such as himself must sing Christian contemporary music if he reached a level of success where his voice could inspire a multitude of people. These days, Beckham is confident in his calling and spoke to The Christian Post about why he decided he did not feel the need to fulfill people's expectations for the type of music he is supposed to sing. "I know through a lot of confusing years and prayer trying to figure things out, a lot of people said 'you're a Christian and you do music that means you sing Christian contemporary music.' You lead worship," Beckham told CP. "But I don't think God wants us to be isolated. I don't think He wants such a distinct wall between church and secular." The singer admits that the word secular can be "scary" for some people, but is looking beyond people's expectations for him. "I want to write songs and sing songs about this world, about people, about this life that God has created through redeemed eyes. That's what I want to do," Beckham said. "I think He created music, and I think He likes good music. I don't think we should be separated, I think we should go out into all of the world even musically." Beckham's decision to become a musician did not happen overnight. At the age of 18, he thought it was the right time to try out for "American Idol." After graduating high school, he was preparing to attend Lee University in what should have been one of the most exciting times of his life. However, Beckham was dealing with the end of his parents' marriage, after relying on them as a unit throughout his adolescence. "I'm an only child and all of my friends' parents were getting a divorce but my parents were perfect, you know? I thought my parents were never going to get a divorce, that kind of thing," Beckham told CP. "So when they did, it was right after I had an incredible moment at a church youth camp. I felt closer to God than I ever have." That intimacy with God helped the singer to recognize that his desire to appear on "American Idol" as an 18 year old when the talent competition came to Nashville was not in line with God's will at the time. "I said, 'God if this is something you want me to do' and He very clearly said, 'No' to me," Beckham recalled. "At the time He said, 'no I don't want you to do that right now.' I tried to figure out what He meant by that." During this time, Beckham had to reconcile with the fact that he was grieving his parents' separation. One day, the young musician decided to sit on his bed and pray to God for help during his broken moment. "I said 'God, You said that You would fill everything in every way, that You are all in all and blessed are those who mourn ... You said that.'" Beckham recalled praying. "'So God I need You to be the comfort of a mother that I don't feel anymore, and I need You to be the warm safe feeling of a father that I don't feel anymore.' I'm telling you, instantly I felt the Holy Spirit come into the room and embrace me." The moment that followed was life changing for Beckham and fulfilled a need and purpose that "American Idol" never could. "The only way I can explain it is it felt like He just came and God wrapped His arms around me. At that moment I was whole when I should be broken and empty," Beckham told CP. "And He did what He said He would do. He filled me completely." A sense of peace enveloped the singer who said he became "obsessed" with the Holy Spirit ever since. He became free from past addictions, sins and struggles ever since. Still, Beckham is the first to admit that he makes mistakes. However, waiting on God's approval to audition for "American Idol" was not one of them. Four years after God told him no, Beckham's friend revealed that God told him to relay the message that God's "no" at 18 meant "not yet." Now, Beckham is in the top five of the music competition and insists that his strengthened spiritual foundation is what will carry him through the strenuous music competition and beyond. "No matter how much I mess up if it's on a stage, spiritually, morally ... no matter how hard I fall one thing remains. That's His love and His mercy," Beckham told CP. "It transcends the mercy of 'American Idol,' it transcends the mercy of America voting. I might get voted off but no matter what I do for the rest of my life, God will never vote me off. So that's something that I'm grateful for." You Will Get The Chills When You Hear This Woman Sing Amazing Grace!